Dr Mantu Bhuyan has been working on insect-plant interaction and exploiting plant secondary metabolites for pest management including butterfly ecology, insect behaviour and vector control. 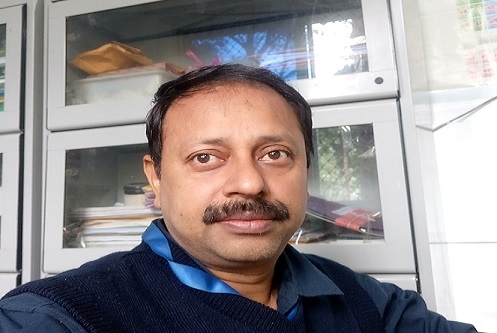 Senior Scientist of the Jorhat based institute CSIR-North East Institute of Science and Technology Dr Mantu Bhuyan has been elected as the Fellow of Royal Entomological Society of London recently for his significant contribution in Entomology. The Royal Entomological Society was established during 1833 in London and is known as one of the oldest and prestigious societies in the field of Entomology. The society nominates Fellows from different parts of the world for outstanding contribution in Entomology. Many pioneering scientists including Charles Darwin and Alfred Russel Wallace were also the alumni Fellow of the society. Dr Bhuyan, a post graduate from Assam Agricultural University, Jorhat and post-doctorate from Rutgers University, USA has been working on insect-plant interaction and exploiting plant secondary metabolites for pest management including butterfly ecology, insect behaviour and vector control. He has several publications in reputed journals and co-author of a paper published in the Annual Review of Entomology – known as one of the most acclaimed journals of Entomology. He has patents to his credit and developed several successful technologies including mosquito repellent products which are commercially transferred to various industries.